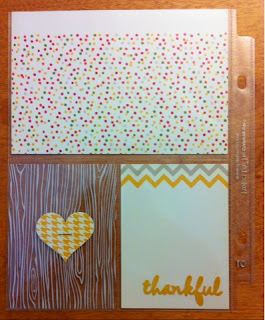 Teach To Stamp: I didn't realize how easy, fast and cost effective Project Life by Stampin' Up! really is!! 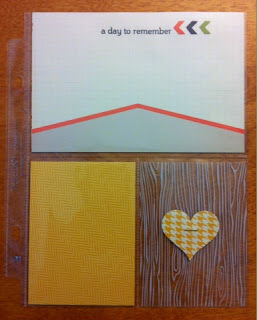 I didn't realize how easy, fast and cost effective Project Life by Stampin' Up! really is!! So when Stampin' Up! announced they were partnering with Becky Higgins and Project Life I thought, "That's pretty smart, it'll be a lot faster and easier than traditional scrapbooking." 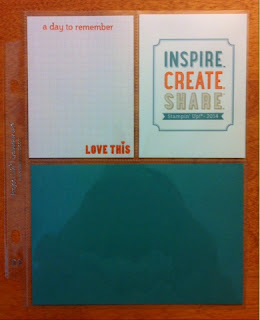 That's true, but I didn't realize how true until I made a few pages at the Stampin' Up! convention in Salt Lake City last week. So they talked about Project Life by Stampin' Up! in the opening presentation, and Becky Higgins was there and Shelli interviewed her on stage, and she seemed really cool, and everything she said resonated about getting those memories saved in a quick and easy way so that when you're busy living life, you can still keep up with preserving those memories in albums that are cute and reflect your style. That includes punching things out, finding and applying stickers from the substantial accessory pack, stamping, stapling, everything. All that's left is to find a couple of pictures and do a little journaling. I was amazed. Then I started doing the math. This style of memory keeping is WAY cheaper than traditional scrapbooking, AND everything is contained inside this little box until you need it (no more bins and containers of supplies!) To get the 6" x 8" album, a packet of 12 pocket pages and a box of 100 cards is only $39.95 (Canadian dollars, plus shipping and tax) and the 12" x 12" Black Faux Leather album, a packet of 12 pocket pages and a box of 100 cards is only $65.40! That wouldn't even make a dent in the bill for all of the supplies used in traditional scrapbooking! Another feature I love, is that you actually don't need to have a creative bone in your body or be considered crafty at all, because if you want to simply slide in your photos, and fill the rest of the pockets with the colour-coordinated cards you can, and it looks great! If you like to add your own little touches, you can use the accessory packs or whatever crafting supplies you already own and add some extra embellishments to make it your own. This makes this style of memory keeping accessible to everyone who has photos. Love that!! Can you tell I'm excited about this? I want to get this into the hands of everybody who needs to do something with their photos. I'm planning to have some classes here, so if you live anywhere near Richmond, BC please come! If not, but you're interested in learning more please contact me and I can provide you with more information. Let's spend more time making memories, and stress less about how to preserve them! !